Secure communication has traditionally been ensured with data encryption, which has become easier to break than before due to the advancement of computing power. For this reason, information hiding techniques have emerged as an alternative to achieve secure communication. 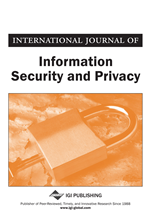 In this research, a novel information hiding methodology is proposed to deliver secure information with the transmission/broadcasting of digital video. Secure data will be embedded within the video frames through vector quantization. At the receiver end, the embedded information can be extracted without the presence of the original video contents. In this system, the major performance goals include visual transparency, high bitrate, and robustness to lossy compression. Based on the proposed methodology, the authors have developed a novel synchronization scheme, which ensures audio/video synchronization through speech-in-video techniques. Compared to existing algorithms, the main contributions of the proposed methodology are: (1) it achieves both high bitrate and robustness against lossy compression; (2) it has investigated impact of embedded information to the performance of video compression, which has not been addressed in previous research. The proposed algorithm is very useful in practical applications such as secure communication, captioning, speech-in-video, video-in-video, etc. Minimum impact to video compression: The impact to the performance of video codec should be minimized (Chang, Chen & Lin, 2004).